Find all the latest marketing trends on the J&C Blog. The article below originally appeared in the October 2018 edition of the J&C Newsletter. If you are not already receiving the newsletter, sign up here. Email marketing automation has become a competitive necessity for many organizations. While still not in use among all categories, marketers that have adapted email marketing automation report great success. In this newsletter, I will explain email marketing automation, describe its benefits and explore some ways that email marketing automation can be used to improve marketing response and conversion in different kinds of organizations. Email marketing automation is the automated process of sending emails to nurture prospects throughout the buyer’s journey. Email marketing automation software is marketing technology that enables the process of automating emails. There are many different email marketing automation technologies. This article isn’t going to recommend specific technologies. There is a list of email marketing automation technology providers at the bottom of this newsletter. What makes a difference for most marketers using email marketing automation is having the right strategy, the right content, the right offers, the right segmentation and the right measurement. Automating emails simplifies marketing communications by improving the efficiency of marketing operation tasks such as data management, customer segmentation, targeting, testing, personalization, customer engagement, conversion and measurement. While email marketing automation doesn’t put marketing on autopilot, it greatly reduces the resources necessary to execute and scale repetitive tasks. Email marketing automation enables multi-effort communications programs to reach prospects and customers at different stages of their customer journey. 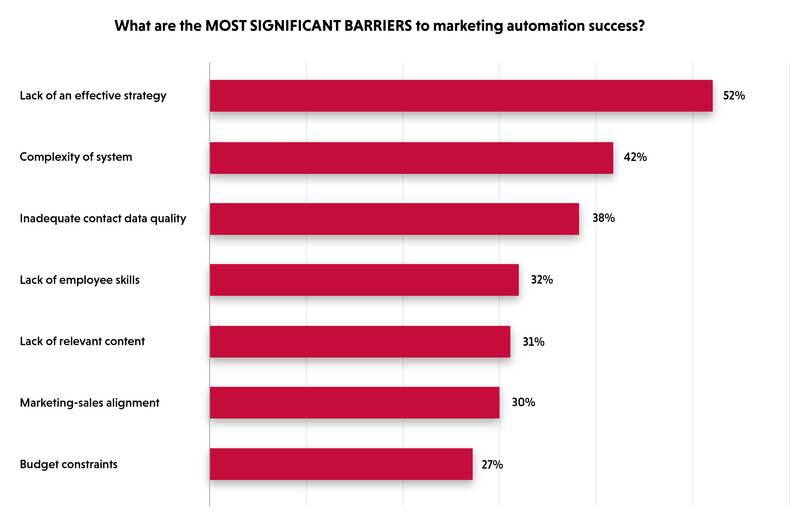 Marketing research firm Ascend2 notes that some of the main barriers to success for marketing automation are the lack of strategy, the complex nature of the technology itself and a lack of internal skills to execute marketing automation. Still, the rewards of email marketing automation are so great that tackling these barriers one by one can be a game changer for organizations. The most vexing issue for email marketing automation is creating the workflows, logic business rules to create multiple email series, deliver the emails to the right segments at the right time and make these workflows seamless from a prospect or customer point of view. 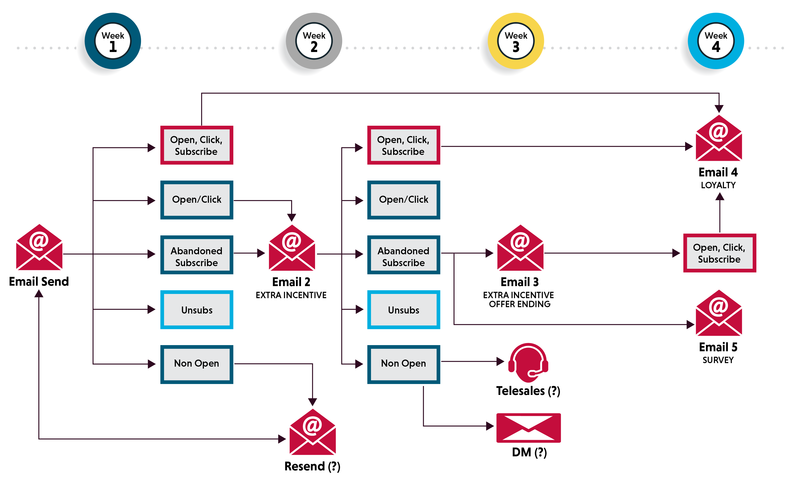 There are many useful workflows for email marketing automation. Email workflows are a series of automated emails that work together to align the email marketing program to accomplish a goal, such as welcoming new website subscribers, onboarding customers, activating buyers that haven’t purchased recently or nurturing leads through to conversion. For now, creating the rules to manage email marketing automation workflows can be a time-consuming and complicated process. In the future, artificial intelligence may simplify this process. For now, most logic and business rules must be programmed manually. Having some experienced help with this process can make it much easier. Workflows are generally started based on a given behaviors, such as a subscriber signup, content download, or purchase. Email-triggered workflows are sent after the first behavior, based on email clicks. Additional emails and workflows are triggered by additional behaviors. They are not sent out based on timing, but are the results of actual clicks and behaviors. Drip email workflows are timing based emails. They are sent so many days after a previous email. Each email in the workflow is sent at a specific time chosen to remind subscribers or prospects who haven’t clicked on a previous email. For example, drip workflows work well for a welcome email series, where each email effort in a series tells a different part of a brand story. Most email automation workflows are nurturing programs that combine trigger and drip emails for workflows that have different objectives. A combination of workflows works best for most uses. If email marketing automation has one Achilles heel, it is that it doesn’t automate the process of content creation. The emails within marketing automation need to provide relevant and engaging information and content. 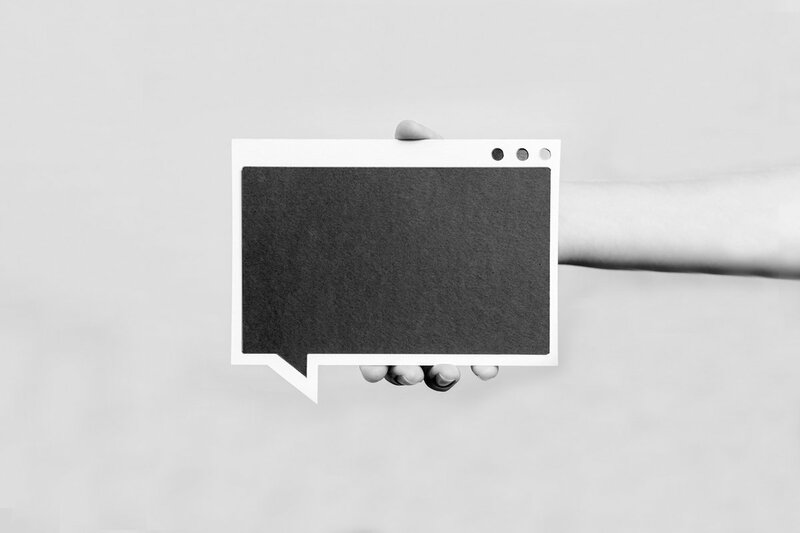 This can be as simple as content that moves prospects and customers through the buyer journey. Or it can be made more relevant with links to editorial articles, videos, or customer reviews. This kind of related content can generate increased response and conversions. Plus, it helps build long-term relationships that set a marketer’s brand apart from their competitors. This is important where there are long decision processes. Email content can’t simply repeat the same ideas. To keep readers engaged, marketers need to provide reasons for their brand to remain top of mind, even though prospects are not ready to respond, convert or make a purchase. Is email marketing automation right for your organization? Many marketers need help in creating these emails. It takes resources and experience to create relevant content that aligns with customer lifecycles and buyers’ journeys. That’s where Jacobs & Clevenger can help. J&C has a dedicated team of content creators experienced in developing programs for email marketing automation. Plus, J&C has experience in creating the workflows and business rules that lead to delivering the right content at the right time to the right audience. How can our team help you? I have included a case study that explains how we helped one client. Give us a call, and let us show you how J&C can help your team.